This is the annual event schedule for Mishima. 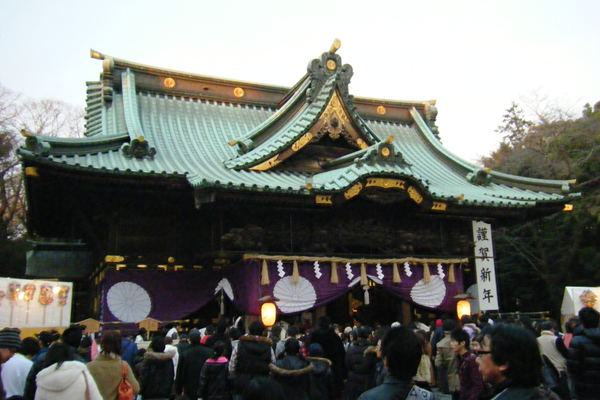 On average, some 600,000 people make shrine prayer visits over New Year, with lively crowds enjoying this celebration period. 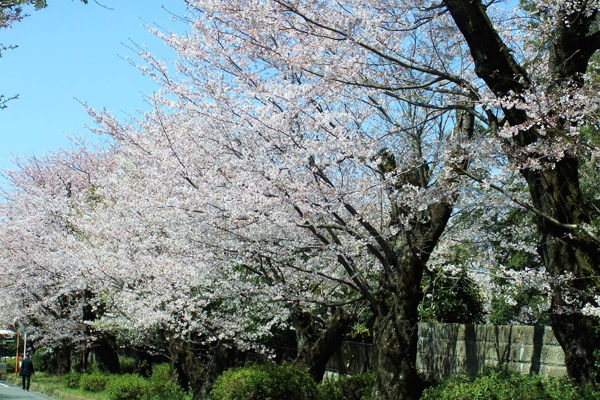 The institute is open for just one day to the public to view the cherry blossoms of more than 300 trees (some 200 varieties). 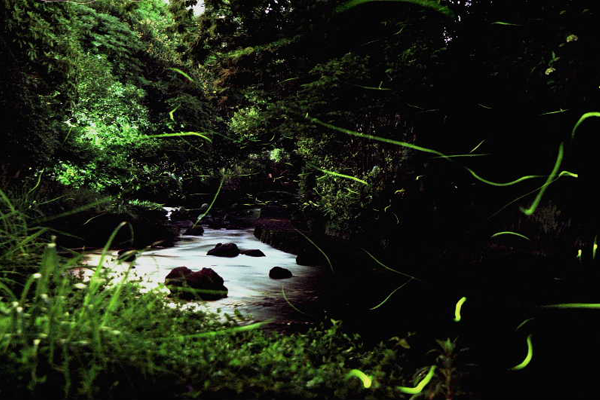 Just a 10-minute walk from the station will bring you to a firefly hot spot, so have fun. 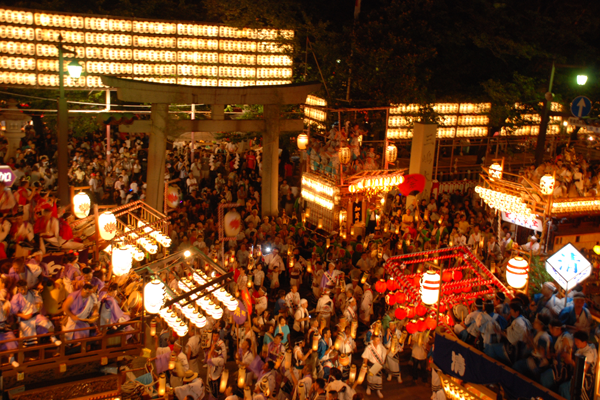 This festival is Mishima’s biggest annual event. Held over three days, the festival is centered around the floats and percussion music that accompanies them. 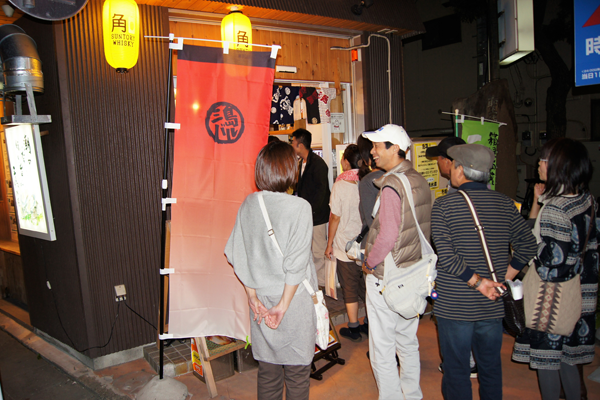 Some 100 bars/eateries participate in bringing the easy-going feel of Spanish bars to the streets of Mishima for a couple of weeks – so, please enjoy the culinary delights of Mishima. 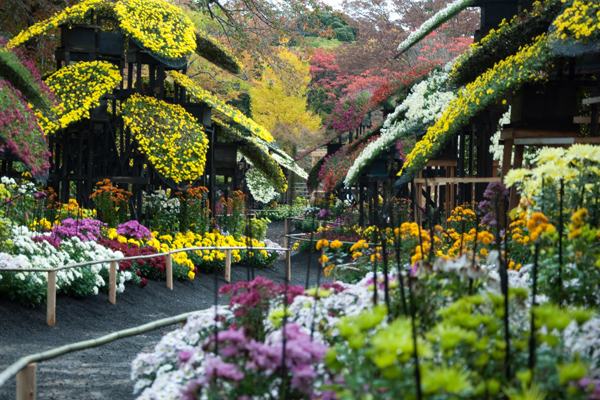 Over about a month, more than 6,000 chrysanthemums will be used to build flower structures that follow an annually decided theme. 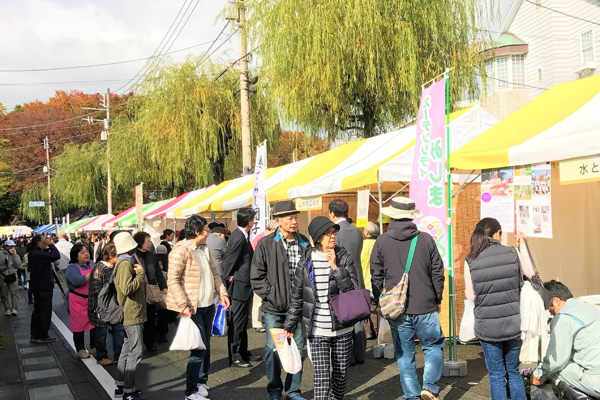 All of Mishima’s natural harvests and foods are woven into a culinary city event to be enjoyed by locals and visitors alike.